Members of the International Association of Hydroseeding Professionals receive a free premium listing on HydroSeedingExperts.com. Joining the association is fast and affordable. Your listing will grow your business and establish you as a professional. This site was originally created as a benefit for owners of Turbo Turf HydroSeeding Systems. Turbo Turf owners are still eligible for a free listing below the IAHP members. 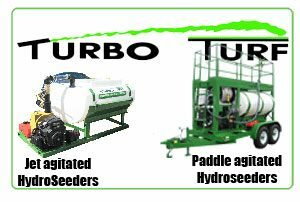 If you are a Turbo Turf Owner use the form below to request your free listing. If you bought your Turbo Turf through a dealer or second hand we may need to get verification from you before we can list you but if you bought it directly from us and are on our customer list that is sufficient verification. Our contact form can also be used to notify us of updates or someone no longer in business that we should remove from our list. CONTACT INFORMATION FOR THE INTERNATIONAL ASSOCIATION OF HYDROSEEDING PROFESSIONALS. International Association of HydroSeeding Professionals.